A Cup of coffee- praise the goodness! 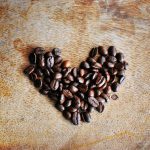 In praise of a cup of Joe! 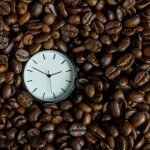 An interesting piece of research hit the inbox this week showing that caffeinated coffee has a more positive impact on your working day than you might think. A new study published in the Journal of Psychopharmacology revealed that drinking a good cup of coffee can enhance your performance at work, increasing alertness and the ability to focus on the job in hand, thereby improving teamwork. The message is clear, if you want to get along better with co-workers then grab a coffee! This was the conclusion following two separate research trials at the Graduate School of Management, University of California in Davis, USA. In the first experiment the idea was to find out how coffee and non-coffee drinkers reacted around each other as in a typical business or social scenario. Half of the participants drank coffee before the trial and half didn’t. The group was asked to discuss controversial social and economic topics for 15 minutes and then to evaluate their own performance and that of their fellow participants. It was shown that those that drank coffee before the task rated themselves and their teammates more highly than those that didn’t. A similar study was subsequently run with participants drinking either caffeinated or decaffeinated coffee. Much like the previous one, this trial found that those drinking caffeinated coffee rated their performance much more positively than those who drank de caff. According to the study’s authors, the results can be credited to the caffeine kick boosting participants’ alertness. Apparently when people are more alert they see themselves and others making a greater contribution to events happening around them and that increases the feel good factor. The coffee drinkers also tended to stay on topic and talk about other relevant issues, (unlike the other participants), which also contributed to the positive outcome. It is interesting to note how people react when they have caffeine in their system compared to those who don’t and there is a clear link between caffeine intake, increased alertness and a better perception of our social interactions. As regular coffee drinkers also enjoy numerous health benefits, creating time to enjoy a cup of Joe with co-workers within the working day just makes perfect sense. Given the overall positive impact of our daily coffee fix, it would be really silly not to. Next Yay! It’s coffee o’clock … or is it?